as a way for “impecunious enthusiasts” to go motor racing using 500 cc motorbike engines instead of the larger capacity engines that prevailed prior to the war. The idea caught on and was adopted as a new Formula 3 in 1950. Well known names raced in 500s including Stirling Moss, Ken Tyrrell, Ivor Bueb, Jim Russell, Les Leston, Peter Collins, Don Parker, Stuart Lewis-Evans and Bernie Ecclestone! At famous locations like Shelsley Walsh, Mallory Park, and Silverstone. All that's fit to fettle... Click here to see news archive. The details of Jim Russell's funeral 23rd April 2019 have been released. George does it again at Silverstone! George Shackleton made it 6 wins in a row with a dominant win at Silverstone on 14th April in bitterly cold conditions. We are sad to report that one of the most successful period 500 racers, Jim Russell, has died at the aged of 98. 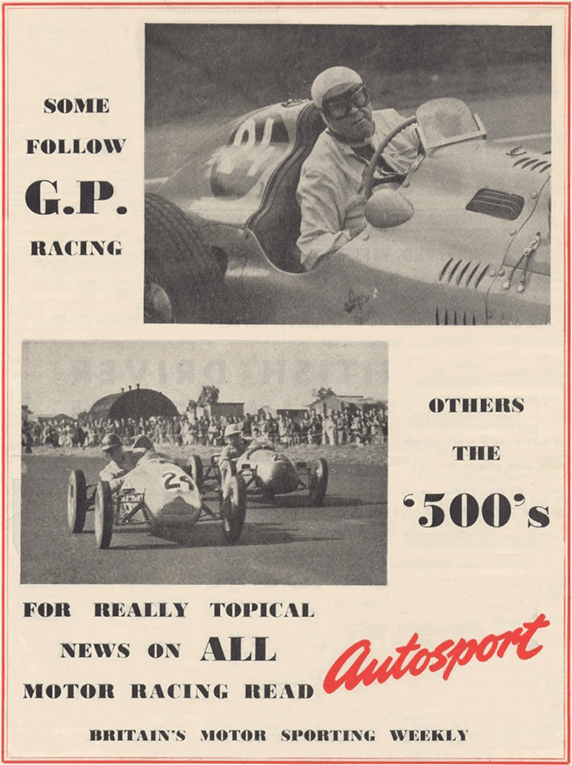 The “500” began in 1946 as a way for “impecunious enthusiasts” to go motor racing using 500 cc motorbike engines instead of the larger capacity engines that prevailed prior to the war. The idea caught on and was adopted as a new Formula 3 in 1950. Visit our YouTube Channel for all of the On-Track Action!